You could make this as individual sandwiches, grilled cheese style, but I like to make this as a big loaf. It’s easier and could be a good party recipe if you’re having a couple people over. Dan and I just had it for lunch… and then dinner😄 We’re little piggies, so this could easily feed four. 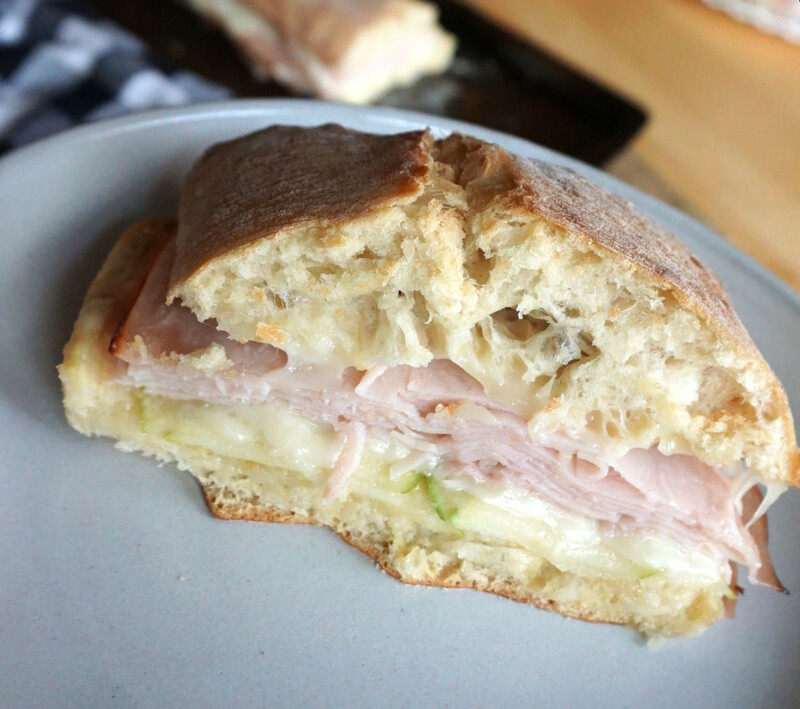 If you have leftover turkey or ham from the holidays this would be a good way to use it up. Also, you could use pear instead of apple if that’s your preference. I think leftovers of this sandwich would still be good since the bread is hearty and wouldn’t get soggy. A quick zap in the microwave would probably do the trick. If you try it let me know how it works out! Combine mustard and honey in a small bowl. 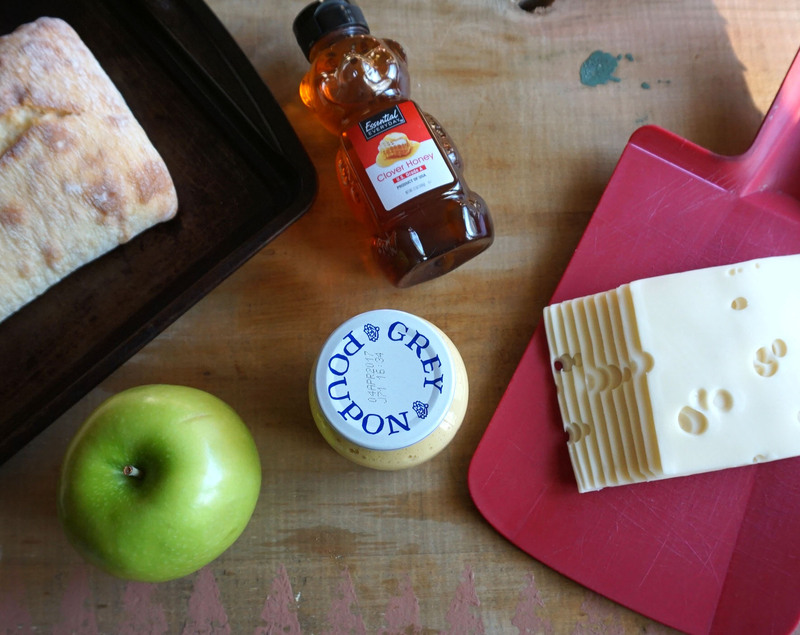 Spread one side of the bread with honey and mustard mixture. Place bread on cookie sheet. 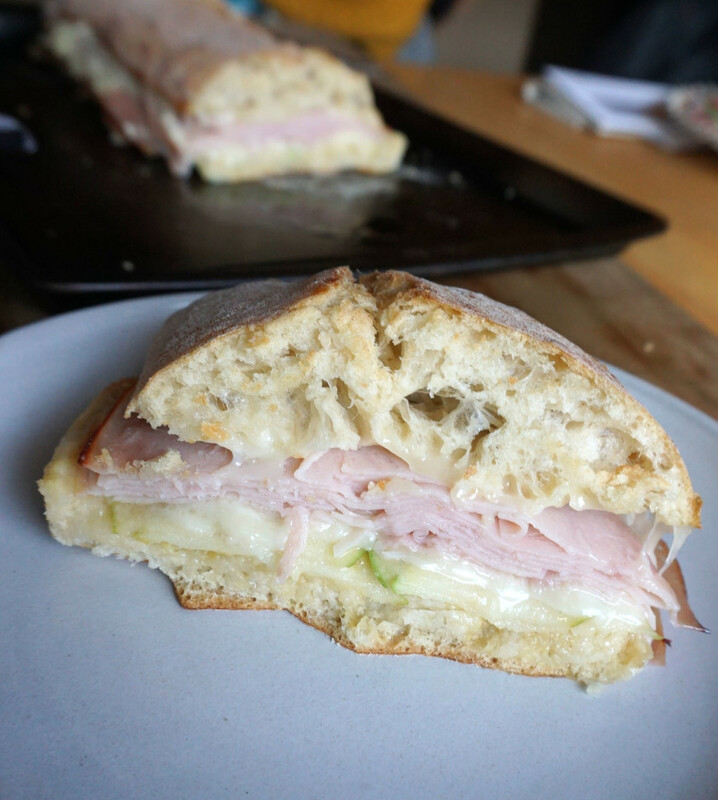 Layer 4 slices of swiss cheese, apple slices, turkey, and remaining swiss cheese on bread. Place other half of bread on top and put in oven. Bake for 15 - 20 minutes or until cheese is thoroughly melted.